A blind spin of Capistrano Sessions immediately evokes the recordings Shorty Rogers made in the 1950s. The sound, the swing, the je ne quoi is a vintage West Coast jazz vibe. One of the hallmarks of the West Coast sound is the facile ability for small combos to sound like a much larger band. This ability is a function of the musical arrangement, the West Coast having a stable full of such talent. 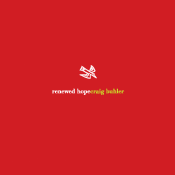 Multi-instrumentalist leader Craig Buhler provides eleven original compositions which perfectly capture this vintage sound, without the attic smell. 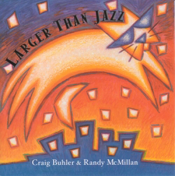 The disc kicks off with the West Coast bebop of “Lookear.” Buhler shows off his Stan Getz tenor chops in this jagged swinging piece, and he allows pianist Dave Witham and brass man Brian Atkinson to show off theirs. The piece is a swinging throwback blues that has a momentum all its own. Momentum is the musical undercurrent at work here. “Capistrano” has a Pacific island theme accentuated by Atkinson’s precise vibraphone and Buhler’s swerving clarinet. “Molly Ann” extrapolates this island sound in jaunty blues clothing with a loping 4/4 interlude. The entire collection of original compositions reeks of freshness and invention. 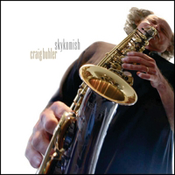 Capistrano Sessions is a well-conceived project of mainstream jazz with a Left Coast bent. Buhler is a consummate educator and performer who has made this writer’s end-of-the-year list. Track listing: Lookear; Capistrano; Rivers; October; Paris Buffet; Himalayan; Migration; Molly Ann; Quiet Passion; Madrid Session; Harbor Cafe Blues. 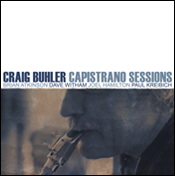 Personnel: Craig Buhler: clarinet, alto sax, tenor sax; Brian Atkinson: trumpet, flugelhorn, vibes; Dave Witham: piano; Joel Hamilton: bass; Paul Kreibich: drums, percussion.